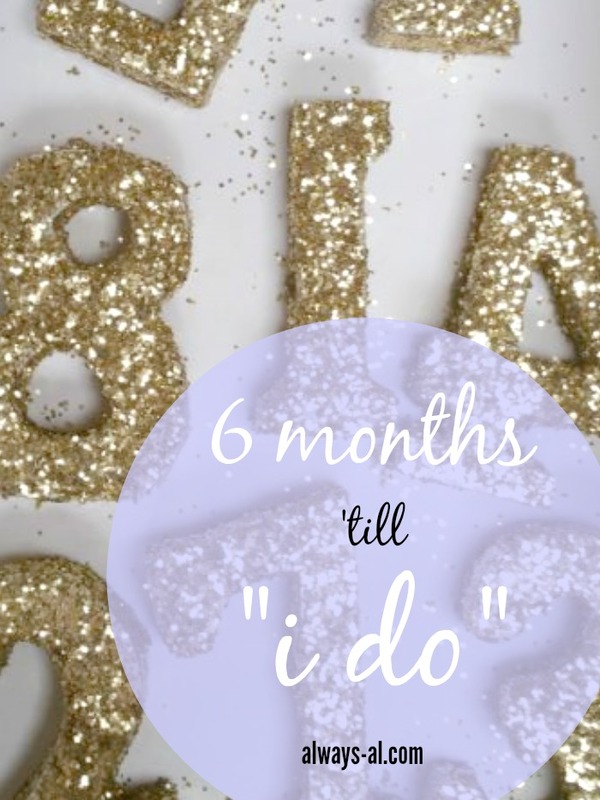 6 Months 'Till "I Do"
Guys. We have reached the 6 month mark! I can’t even believe it. It feels like just yesterday that I was telling you we had a year left. We have been busy little beavers this past month. We are starting to get into the nitty gritty, and I feel like every weekend we have something to do for the wedding. I'm not mad about it. -Wedding bands are paid for! -Started to finalize the menu for cocktail hour, dinner and dessert. There are so many cool things that our caterer can do! -Purchased BOTH pairs of shoes for me to wear. A pair of heels and a pair of sandals. I’m so excited to get these 6 months rolling! This is going to be a great year!